South Carolina is a big adjustment. Life is slow, and more laid back here. There is so much to do. I am so surprised by the amount of activities to do down here. There is shopping, restaurants, and the great outdoors. There are about a half a dozen little cities at every corner. 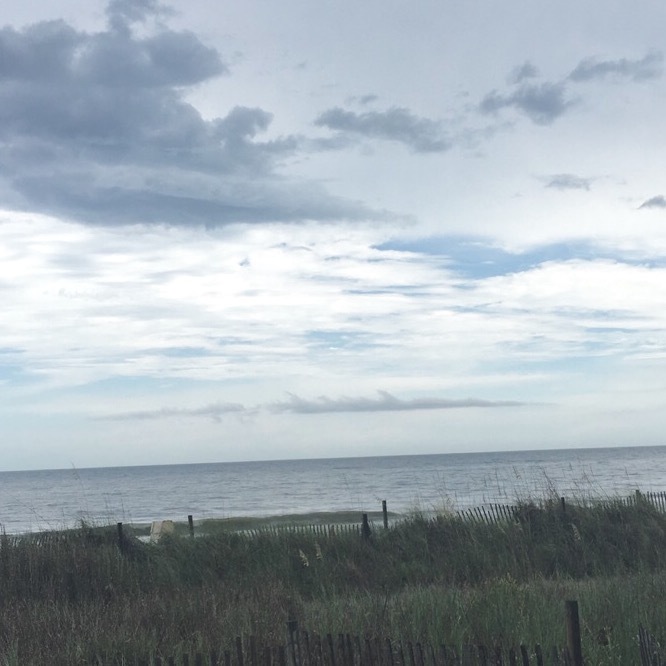 I was able to make it out to the Myrtle Beach. I have seen more sun for the past month than I have the whole time I was in Michigan. I was lucky to get a bit of sun before the storms came in at the beach! One of the people I went with, had a secret skill of picking out the best restaurant. We went to this burger/ sushi place. Which to me sounded so weird. I thought it would be horrible, but honestly done of the best casual dining places I have ever been to. I did not get sushi, I was starving so I got a burger. It was called, The Leonaro Da Vinci. Seriously the best burger I have probably ever had. It was a falafel, basically deep fried chickpea. It was life changing. Because we were at the beach everyone was wearing sweats. I ordered a Lemongrass Elderflower martini. I felt like such a poser drinking it in running shorts. (I know glamorous.) Check this burger out. 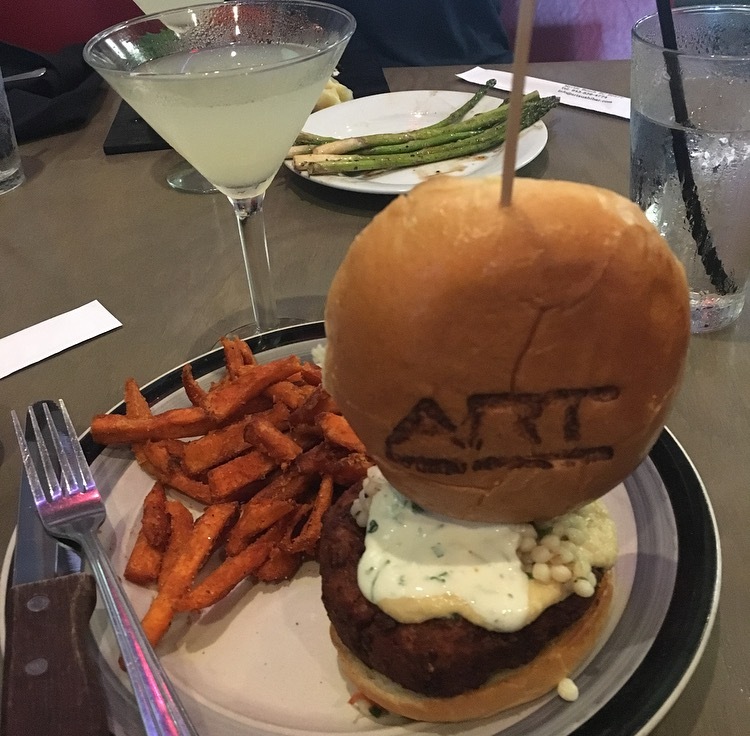 The place was called Art, and you need to go to it if you are at Mytle Beach.